DALLAS, TX (November 11, 2016) – As America honors veterans today, local volunteers and veterans are joining together to serve veterans and their neighbors in a southern Dallas neighborhood. For the volunteer project, Operation: Equip and Serve on Veterans Day, United Way of Metropolitan Dallas and local companies mobilized 100 volunteers to revitalize a southern Dallas neighborhood’s garden and homes. This is the third project in the Unite for Change community impact series presented by Texas Instruments (TI), in collaboration with Vistra Energy and its integrated businesses, TXU Energy and Luminant, Dallas Area Habitat for Humanity and Mission Continues. Throughout this day of service, volunteers are revitalizing a farm and garden in the Mill City neighborhood that will provide a source of fresh food to families who live there. The Mill City neighborhood is located in a ‘food desert,’ an urban area in which it is difficult to buy affordable and good-quality fresh food. Other volunteers are working to repair several homes in the neighborhood. In addition to the service day in the Mill City neighborhood, United Way provided two full-day Financial Empowerment Toolkit trainings to 50 case managers from the Department of Veterans Affairs. The trainings, designed by the Consumer Financial Protection Bureau, are designed to improve the capacity of VA case managers to help thousands of veterans access tools and resources for financial stability. More than 600,000 families in North Texas live in poverty. Because of United Way’s commitment to the training, front-line social workers are empowered with the knowledge and tools to help more clients achieve financial stability. Unite for Change is an area wide Community Impact Series of seven volunteer events, presented by TI. The series engages effective local service providers who create real opportunities and get results through programs designed to help United Way of Metropolitan Dallas reach its 10-year community goals: preparing at least 60 percent of all children to graduate ready to succeed, moving 250,000 people out of poverty permanently and improving health across the region. 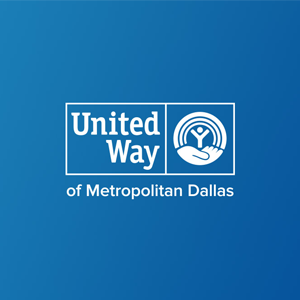 About United Way of Metropolitan Dallas: United Way of Metropolitan Dallas brings people together to improve lives and create lasting change here in North Texas by focusing on education, income, and health – the building blocks for strong families and thriving communities. We galvanize and connect all sectors of society – individuals, businesses, non-profits, and government – to create long-term change through investing in solutions that produce healthy, well-educated and financially stable individuals and families. We raise, invest and leverage over $50M annually in community-focused solutions serving Dallas, Collin, Rockwall and southern Denton counties. We do more than help one person beat the odds – we are changing the odds for entire communities. Together, we UNITE FOREVER. To learn more, please visit UnitedWayDallas.org. About Texas Instruments: Texas Instruments Incorporated (TI) is a global semiconductor design and manufacturing company, headquartered in Dallas, Texas, that develops analog ICs and embedded processors. By employing the world’s brightest minds, TI creates innovations that shape the future of technology. TI is helping more than 100,000 customers transform the future, today. Learn more at www.ti.com. Tyrone Phillips stood in the shade Friday, wringing the corner of his sweat-soaked shirt. “Hard work — that’s what I came out here for,” said Phillips, a digital marketing web project manager at Texas Instruments. Four years in the U.S. Air Force trained him for it. He was 18 when he signed up at a recruiting station to become an aerospace ground equipment technician to fix and maintain planes. Decades since wearing the uniform, he’s still serving. Phillips and other fellow former military servicemen and women gathered on Veterans Day at Mill City — one of South Dallas’ poorest neighborhoods — to help revive the community striving for a comeback as part of Operation Equip and Serve. Male and female, black and white, young and old, they stood side-by-side, weeding and painting. “It’s about our service to the community, our service to America. It’s not about us,” Phillips said. Operation Equip and Serve mobilized veterans and volunteers from companies such as Texas Instruments as part of a collaboration with United Way and Habitat for Humanity. “Veterans love being called upon to serve, not be served,” said Susan Hoff, chief strategy and operating officer for United Way Dallas. They pulled weeds and tilled soil in the Mill City Community Garden, where rosemary, collard greens, tomatoes and peppers grow in raised beds. The garden sprouted a couple years ago in a vacant lot next door to Alendra Lyons’ clapboard house. Volunteers stood on ladders, painting the house owned by Lyons’ family for more than six decades a bright robin’s-egg blue. “I appreciate their service. It makes a difference in the community and revitalizing this area,” said Lyons, president of the Mill City Community Association. She moved back to the neighborhood five years ago when a now long-gone drug house was next door. “We’re working together in unity here today,” she said. Across the street, a grassy field is the beginning of a farm where Lyons will teach children about growing food. Already, 11 sheep and 10 chickens are corralled in the back. There are plans for a fruit tree orchard, aquaponics system and bees for honey. “What you’re seeing here, this is America,” Phillips said. PreviousOneUp polls are closed. Who won?